The latest trend to emerge from Paris has less to do with hemlines and everything with the soaring cost of raw cotton, according to a report by Women’s Wear Daily on Tuesday. At the Première Vision textile fair earlier this month, weavers plied designers and buyers with a profusion of alternative fabric mixes, including cotton blended with linen, viscose, synthetics, and cellulosic fibers such as lyocell, Modal, and Tencel. Cotton prices have leapt 160 percent in the past year because of the growing disparity between supply and demand, says the trade publication. Flooding in major cotton-producing provinces in Australia, China, and Pakistan is partly to blame, as well as escalating demand for cotton from China. As a result, industry experts expect the price of cotton apparel, especially cotton-heavy denim lines, to see an uptick as high as 15 percent. Cotton prices have leapt 160 percent in the past year because of the growing disparity between supply and demand. 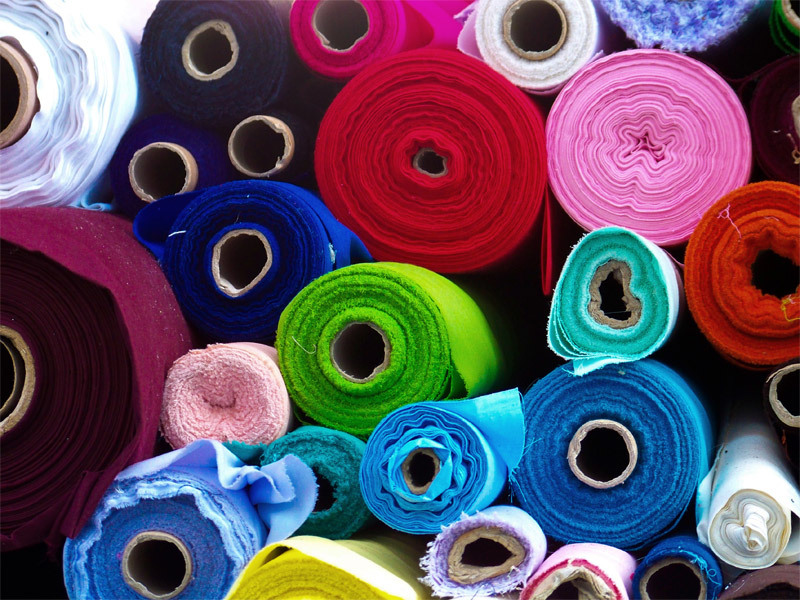 But although we can expect to see more synthetics on the market because of higher cotton costs, the entire textile industry is in a state of flux. 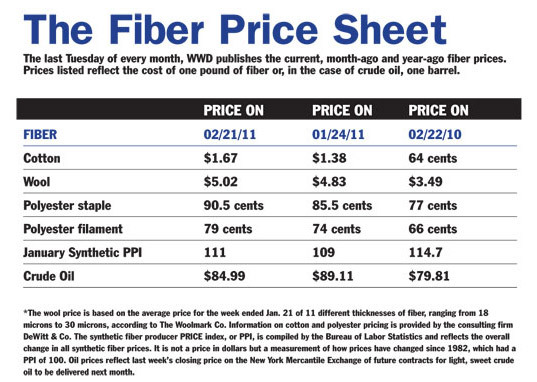 Wool prices have risen by 40 percent in the past year, while the cost of nylon and polyester increased by 15 to 20 percent in the last quarter of 2010. McGuinness cites Cambodia and Bangladesh, neither which has sterling labor standards, as “fiscally attractive” options. I am a student looking to break into the textile industry once I graduate, so happy I stumbled on your website!